I received these gorgeous rose gold earbuds in last month’s Spark Sessions swag bag: they are, by far, the chicest pair of earbuds I’ve ever owned. But they aren’t just pretty to look at, they also have amazing sound quality, and are extremely affordable. 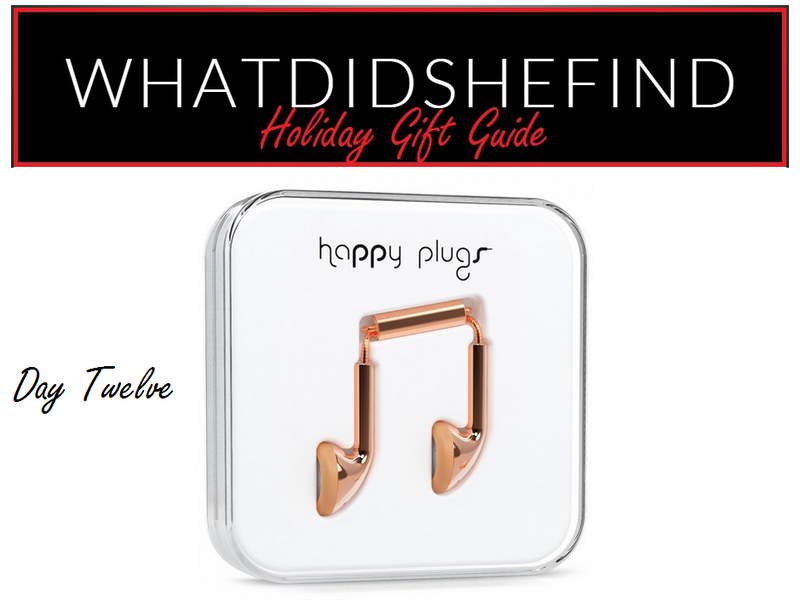 These retail for $29.99, and can be purchased from the happy plugs website, or online and in-store at Best Buy. Compatible with a variety of devices and with a built in microphone and remote, not only can you change songs and and adjust the volume, you can also answer phone calls. And can we talk about how adorable the packaging is? Add a bow and you’re ready to gift.